In a recent study conducted by the Department of Defense, researchers discovered that a poor sense of smell could be an indicator of traumatic brain injury. For the study, over 200 soldiers were tested. Researchers discovered that participants with low scores on the smell test were more likely to have frontal lobe damage during brain imaging compared to participants whose sense of smell was normal. Study leader Michael Xydakis, from the Uniformed Services University of the Health Sciences, said that odor is one major tactic that the brain uses to make connections. Those connections can occur in many different regions of the brain. “This unique feature makes an individual’s ability to describe and verbally name an odor extremely challenging and cognitively demanding,” Xydakis said. 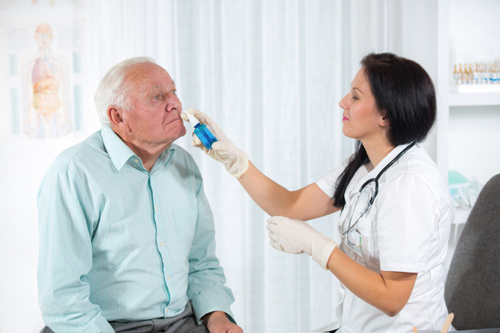 Further research out of Columbia University has shown that for patients who experience Alzheimer’s disease, smell is often one of the first senses to be affected. Diminished sense of smell is also a strong sign of cognitive decline. The brain processes smell through the olfactory region—a brain region that produces new neurons even throughout adulthood. Kim Good, an associate professor in the psychiatry department at Nova Scotia’s Dalhousie University, is looking to conduct a study on the link between Parkinson’s disease and the olfactory region. She is hopeful that study results will improve early intervention of Parkinson’s. Chant, I., et al., “Smell Tests Could One Day Reveal Head Trauma and Neurodegenerative Disease,”Scientific American; http://www.scientificamerican.com/article/smell-tests-could-one-day-reveal-head-trauma-and-neurodegenerative-disease/, last accessed December 29, 2015.